"Nemo me impune lacessit - No one provokes me with impunity"
With a lineage dating back to 1678, the Royal Scots Dragoon Guards perpetuate one of the oldest cavalry traditions of the British Army. Formed as the Royal Regiment of Scots Dragoons, the regiment was first mobilized as dragoons soldiers, who rode into battle as cavalry, and dismounted to fight as infantry. After the English restoration, they were inspected by King William III, who noted that either by circumstance or intentionally, every Dragoon rode a grey horse. The name "Scots Greys" stuck as an official nickname, which became their official designation in 1877 when they became called the Royal Scots Greys. 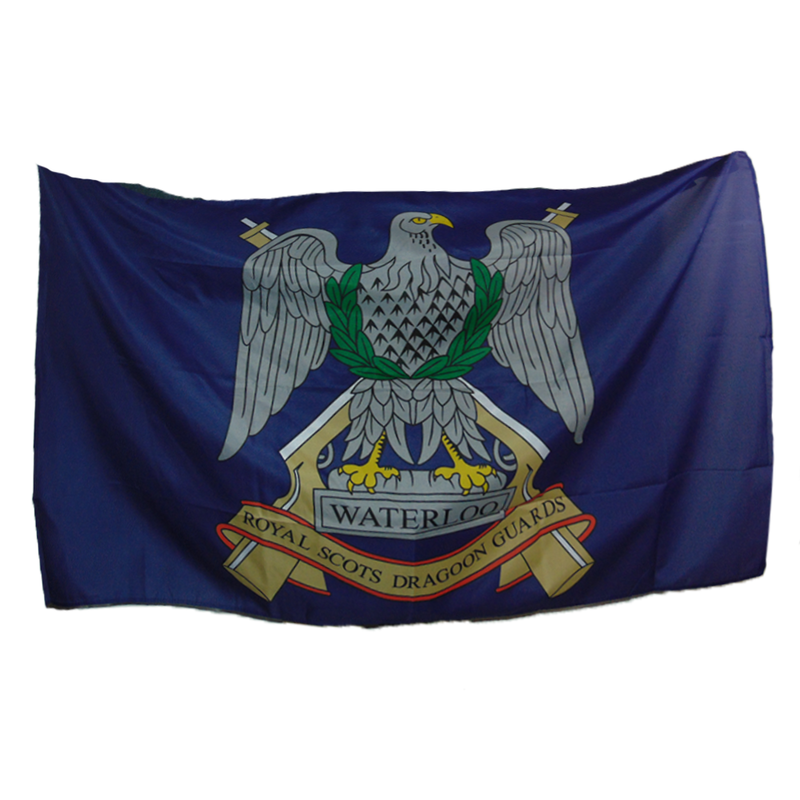 Their standard features a French Imperial Eagle, representing their service at the Battle of Waterloo in 1815 when Sergeant Charles Ewart captured the prized insignia as he cut down three of Napoleon's elite soldiers in close combat. 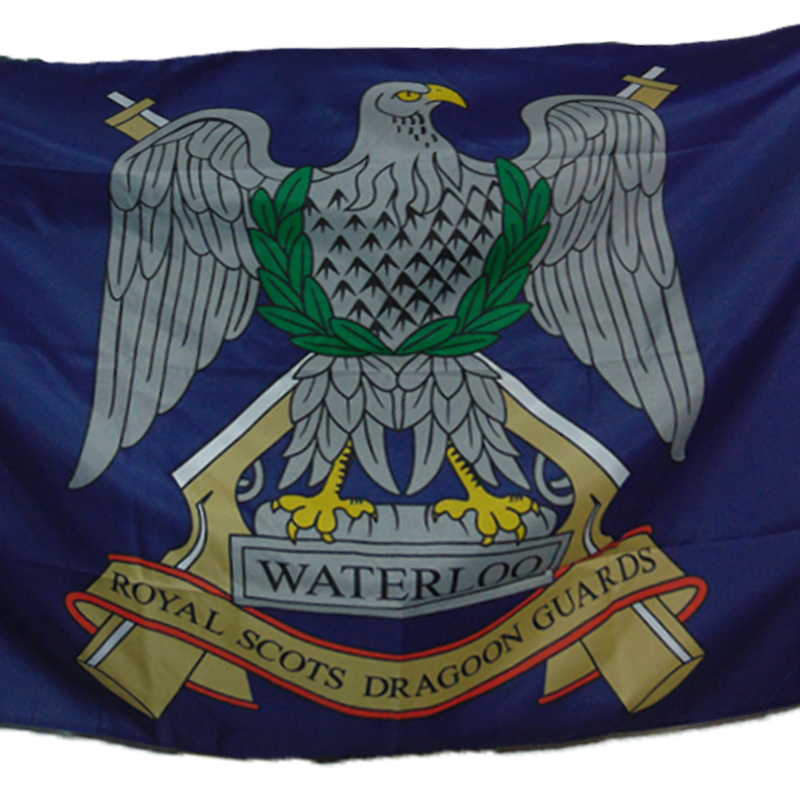 Through a series of amalgamations after 1977, the unit became today's Royal Scots Dragoon Guards. They serve in a modern role as motorized infantry or "light cavalry", in the same tradition as the original dragoons of the Scots Greys.